Have you ever noticed how you tend to gravitate to certain kinds of people? This wasn’t random. What I’ve found for myself is that most of the professionals I’ve worked with over the years even back when I was hiring people while on Wall Street were not that type A personality. They are what you may call quiet smart and mindful professionals. People who observe, and can tune into what’s around them and raise their gutsy antenna’s knowing something is “off” or “on” with a given situation. I call these inspiring spirits my people because that’s who I always was despite the hard abrasive and very male-dominated culture I lived in, as an executive leader. We may appear quiet but we are actually processing as the great thinkers we are and when opportunity arises we will find our voice and own our authority every time, creating what we want which will best support us and our family. How to become a leader of influence, accelerating your career. More and more today, I find most of my clients are empathic. If you aren’t sure what that is, it’s what I often refer to as being a “mood sponge”. We can pick up other people’s intentions and emotions easily which is a good thing on one hand because our gutsy guidance system is always working and has our back. However it is a painful thing as well because if you are in a room where someone is looking to take you down or simply rubs you the wrong way, you can freeze, feeling stuck. Does that sound like you too? Here’s one way you can tell what’s going on internally – if you are feeling “uptight” or grounded. I do a muscle-test with participants of my trainings where I test their bodies to see how strong versus weak they physically become from using certain language. There you quickly learn the importance of language – not what you say to others, but what you say to yourself. Using words such as “I can’t” or “I have to” when faced with making a decision for example, keeps us stuck in our same-old routines which produces (you guessed it) the same old results. On the other hand, when we use words such as “I choose to” or “I won’t”, you will recognize that your actions are a direct result of your choices. You move from a state of powerlessness and lack of control to one where you have free will. Your internal self-talk brings back your power to choose. If when walking into a room right before you are about to lead a presentation, you said to yourself “I will flop and make a fool of myself”, energetically this self-talk has already expected a negative outcome which will in turn create a vibration of weakness that others will feel even if you didn’t miss a beat and said everything perfectly during that presentation. If you are just getting to know me here, I combine a spiritual approach with a proven set of gutsy business tools that will lead you to becoming that leader of influence, no matter what kind of expert you are; working for yourself or someone else. If you would like to learn of these exercises and more which you can do for yourself, then I invite you to get started here where we have lots of paths to get started. Isn’t it great to have options? Have a wonderful weekend. I hope to meet you live or on video. Doesn’t matter, you will feel that person just around the corner as the one sitting miles away. Like-minded energy is everything. Big squeeze coming your way. >>You. Me. Tuscany. June 2018 Joining us? We meet in Rome airport and embrace a week of allowing our spiritual selves to ask for what we need. 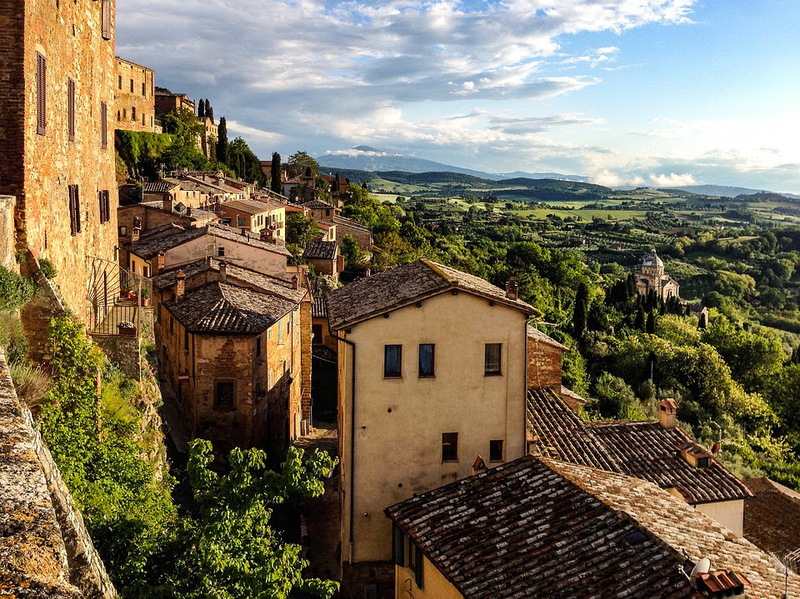 In the heart of glorious Montepulciano Italy.